My daughter and I have been talking a lot about bulbs the past few days. Bulbs… as in flower bulbs. I don’t know if you know this or not but I absolutely LOVE flowers. Like REALLY love flowers. I would cover my entire front yard in flowers of different colors if I could. So THIS year I’ve been determined to plant some flowers & work on the front beds. I spent an entire afternoon just cleaning out the front beds & killing weeds. It was tough & tiring, but it felt so good to step back and look at what a difference it made! So my 7 year old & I went to pick out some spring bulbs to plant & some seeds to plant in pots for the porch. There were so many options it was a little overwhelming. Full sun, Part sun, Part shade, Drought Resistant, Deer Resistant, Annual, Perennial… My poor head was swimming! My daughter, of course, was just going by what her favorite colors were & dropping them in the cart. Needless to say, we had to have a discussion that even though we like what it looks like it may not work in our yard. We finally figured out what bulbs & seeds we wanted, checked out, & headed home. In the car she asked me what we would need to do to plant them & take care of them. I explained that we would follow the planting directions on the packages & we would probably also look up some more information online so we made sure that we could do our best to take care of them. Although planting & growing plants isn’t easy, it’s something that I am willing to spend my time & money on. I’m not a fan of the planting & waiting part, but when the flowers bloom it’s all worth it. Isn’t our spiritual life similar? God calls us to do many things that are difficult, time consuming, & even tiring but He asks us to do these things because in the end it will bring glory to Him. All of the hard work is worth it in the end, even if the end result doesn’t occur during our lifetime. So much of this time consuming work is preparation. So, just as we would prepare the ground for the planting so that it will be able to grow, we should be preparing ourselves for the work that God has for us to do. How can I prepare myself? I’m not soil? 1. We can prepare our hearts with prayer. God has really been convicting me lately of what I pray to Him about. Lately instead of asking for more tangible things I’ve been asking him to prepare my heart & mind for whatever it is that He has for me. Whether that means something this week, next month, next year, or years from now. 2. We can prepare our minds with God’s Truth. How often do you delve into God’s Word? I’ll be honest, depending upon the season, I tend to slack off when it comes to my personal bible study. When I’m not preparing my mind & studying God’s Word I tend to fall flat when life gets difficult. Just 15 minutes a day reading & studying helps tremendously. It’s like getting ready for a big test. If you haven’t studied, & aren’t prepared… You’ll fail. So as we prepare our yard for spring plantings I’m going to continue to think about how I need to prepare myself. As I water & weed over the next few months I’m going to use that as a reminder. I’ll share lots of pictures of our flowers when they bloom! 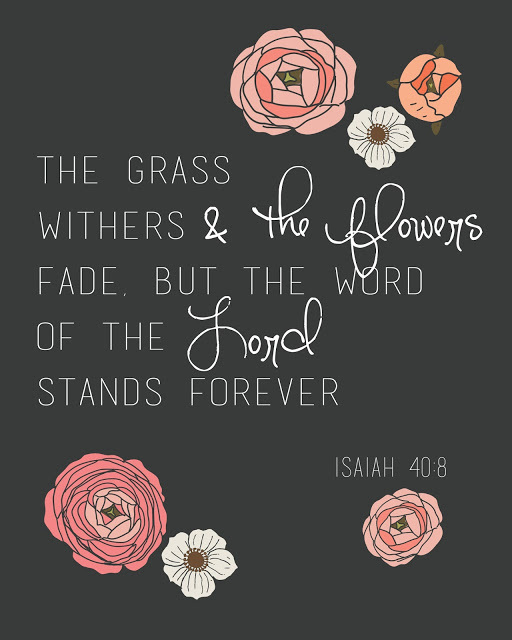 Be sure to let me know what is blooming in your life! This post was shared on the Simply Inspired Linkup! Well I’ve let it happen to myself again. There has been so much going on in the past month! Its the end of the school year and we’ve just been GOING, GOING, GOING… DOING, DOING, DOING… We’re so Busy. I’ve gotten to a point where I think I need to re-evaluate everything we are “doing”. What are we “busy” with? Does God call us to these things? Is it time to let go of some things? I have always struggled with being busy. In High School I played tennis, was on the cheer squad, was in the High School Musical each year, sang in the choir, was involved in church, (of course there was ALWAYS a boyfriend to spend time with) and somehow I managed to be an average student at a College Prep School. None of these things were “bad”, but I think I was so busy that I didn’t give the necessary attention to the things that should have been priorities. Sometimes I wish I could go back and shake my teen self and tell her to focus on what really matters! It’s tough stuff to think about, let alone pray about. “God, show me what you want me to be doing… and what you DON’T want me to be doing.”, because the thing is I need to follow through & obey. Yikes! I may actually have to STOP doing something! I may have to say “No”! I might have to disappoint someone because God is calling me to something else. So for now, I will pray for strength in this season of busyness. 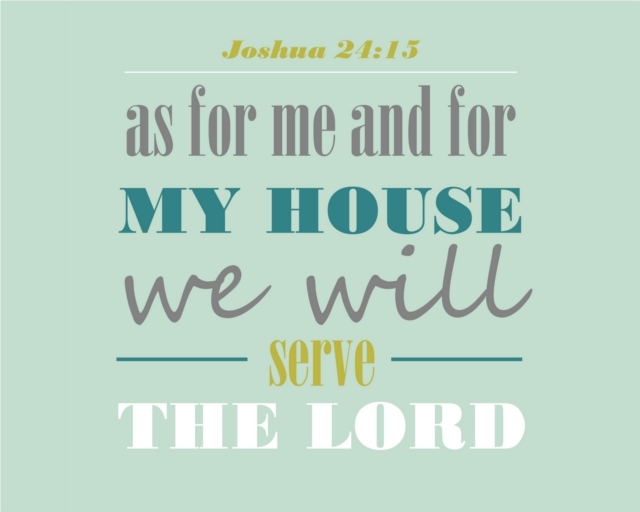 I will pray for God’s discernment, that He will show me what He wants me to be doing. I will pray that He will guide me as I weed out those things that I am not supposed to be spending my time on. I will ask Him to set my priorities straight. 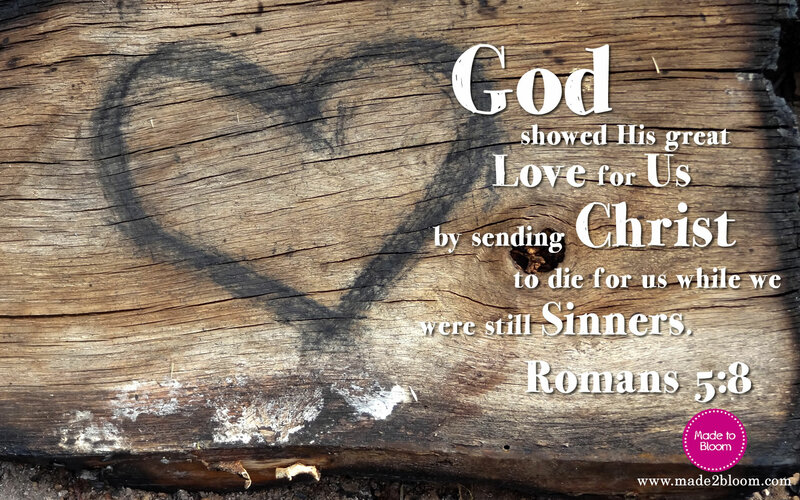 I shared this on the Grace & Truth Linkup, Christian Mommy Blogger, Faith & Fellowship Blog Hop & Faith Filled Fridays. 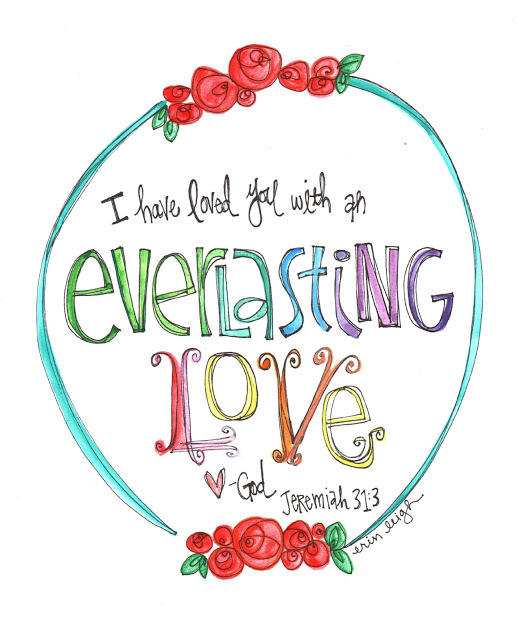 If you’re a Faith Blogger check them out! I have been so busy the past month, but it’s been a good busy. I have LOTS of blog posts in the works, but it’s been hard to find the time to finish them! 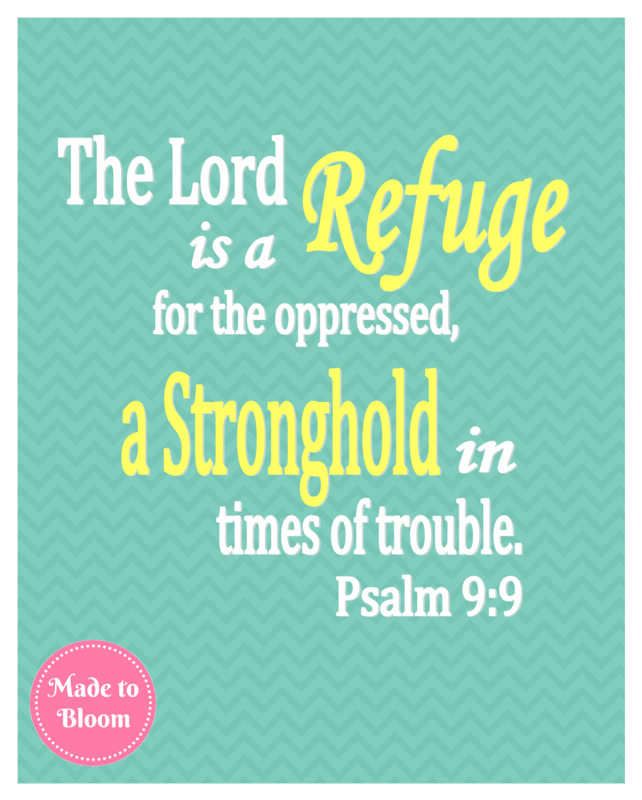 So in the meantime I’ve decided to do a fun Free Scripture Printable Round-Up! I don’t know about you but I LOVE free art printables! I love to print them off and place them in cute frames around the house. 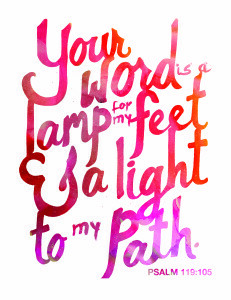 Lately I’ve really loved scripture printables. They are beautiful to look at and are a great encouragement each day. I’ve included some of my new favorite printables below from some awesome sites. Please click the links below each image to go to each site, download & print the images. I hope you enjoy & are encouraged by these printables as much as I have been! Check back soon because I have a series of my own printables that I’m working on as well. Over the next few posts I’m going to go through one of my favorite books, Ruth. I have always loved the Book of Ruth. I can’t count the number of times I’ve read it. I’ve read commentary after commentary on it. I’ve taught it to the girls in my Sunday School class more than once. In fact, every time I go through it God shows me something new that I had never considered before. So, here we have Elimelek, Naomi, Mahlon & Kilion. They are living in the land that God promised to His people, when suddenly famine comes. Things were bad, it looked bleak. So what did they do? Elimelek decided to leave and move his family to the country of Moab. So, why is this a big deal? Well, for starters you should know that this was The Promised Land that they were leaving. When Moses freed God’s people from Egypt and they wandered the dessert for 40 years, this is the land that God said would be theirs (eventually). Famine has come and instead of trusting that God would take care of them, just like He had with their ancestors, Elimelek decides to take matters into his own hands. He decides that he knows what is best for his family and they move to Moab. Not only are they leaving Judah, they’re leaving Judah for Moab. Moab was a country that worshiped other gods. The Moabites didn’t worship the one true God. When I read these first two verses I’m reminded of all of the times that I didn’t trust that God would take care of something for me. I can think of so many times in my life that “famine” has come and I instantly react. I always want to fix it as soon as possible, so I decide on my own the best way to make everything better again and do it. I just go off of my own understanding and don’t turn to God for the solution. Have you ever tried to fix something yourself without turning to God first? How did that turn out for you? “Famine” in our lives can be all kinds of things. Family problems, friend problems, boyfriend/girlfriend problems, school, work, money… the list goes on and on. The problem isn’t that we have problems, the problem is that we don’t turn to God for the solution. We think we know best, and we put God aside for a while & we “fix” the problem. In other words, don’t assume that you know the best way. Trust that God is God & that He knows the best way to handle it. Ask Him to help you, listen to Him, and do what he says to do. He will help to make it all ok.
Maybe you’re dealing with a “famine” situation right now in your life. 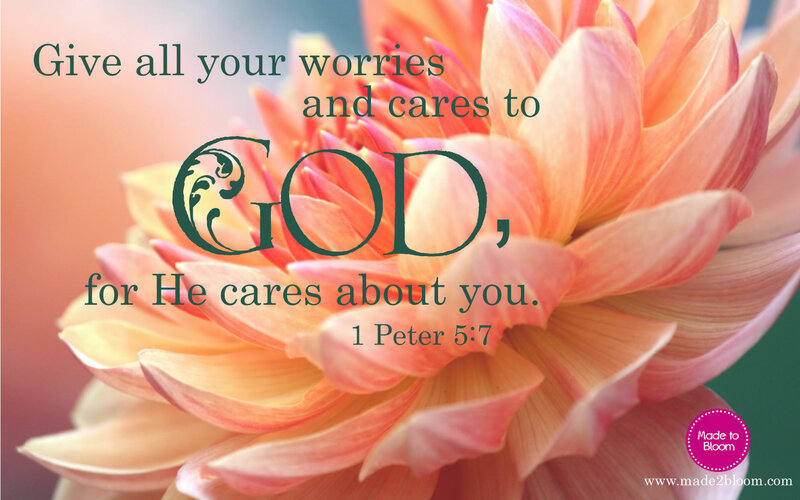 Life is stressful & the bible says that we will have problems. Whatever you are dealing with God wants to guide you, you just have to turn to Him. Follow me on Facebook, Twitter, WordPress, or Sign up for Email Updates to know when I post next!